Ready to bug out your kids? 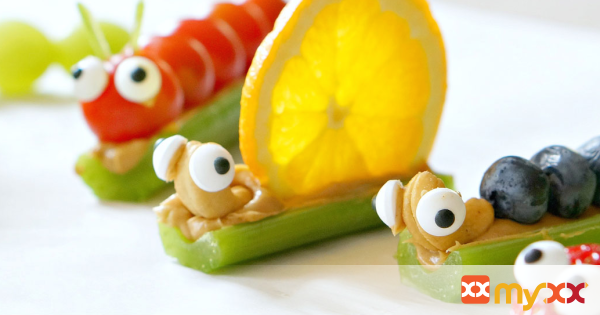 They’ll love these fruit and veggie snack bugs in their lunch box or as an afternoon snack! 1. To make the snakes: Skewer round fruits or veggies onto toothpicks and cap with a strawberry head. Use peanut butter to “glue” on the candy eyes.